U.S. Vice President Joe Biden, President Barack Obama, Health and Human Services Secretary Kathleen Sebelius, and other administration officials meet with health insurance executives in the Roosevelt Room at the White House April 17, 2014 in Washington, DC. Obama and Biden met earlier with representatives from the National Association of Insurance Commissioners. U.S. Vice President Joe Biden, President Barack Obama, Health and Human Services Secretary Kathleen Sebelius, and other administration officials meet with health insurance executives in the Roosevelt Room at the White House April 17, 2014. President Obama held a press conference today to highlight the news that the new health insurance exchanges have not signed up 7 million customers, as previously believed. They’ve signed up 8 million. It turns out that lots of people who don’t have health insurance would rather have health insurance. Who knew? Ross Douthat has a column today retrenching the definition of failure. The most notable thing about it is the conservative ground he’s surrendered. All the disasters conservatives have predicted to date have failed to materialize. The website did not have to be rebuilt from scratch. The exchanges did not have to push back their start date. The administrative fix did not render the law unworkable. There has been no actuarial death spiral. Democrats have not called for repeal. All the disasters have simply been pushed further into the future. Instead he hangs on the possibility of future failure — Congress may one day repeal the medical device tax or the Independent Payment Advisory Board’s recommendations, or scale back the Cadillac tax. Could happen! But none of the things conservatives warned about happening have actually transpired. The evidence to date is completely consistent with the hypothesis of success. Costs and premiums have come in under projections, young people have signed up, insurers plan to expand their participation, and actuaries project stable premiums. For all the Sturm und Drang, implementing a successful health-care reform was not actually very hard, for the simple reason that the United States started with the worst-designed health-care system in the industrialized world. When you spend far more on health care than any country, and you’re also the only advanced democracy that denies people access to medical care, it’s incredibly easy to design a better system. Obamacare has two basic goals. One is to reduce the explosive rate of medical inflation, and the other is to give all citizens access to medical care. Medical inflation is indeed falling much faster than anybody expected four years ago, to its lowest level in half a century. And affordable health insurance is now available — insurance companies can’t use medical underwriting to exclude or charge prohibitive rates to people who need medical care, and people with low incomes get subsidized. It would be great if lots of people took up the coverage, but the simple availability of it is the main goal. The health-care system still has lots of problems, beginning with the 5 million poor Americans cruelly denied health care by red state Republicans. Compared to an ideal blue-sky health-care system, we still fall short. What’s beyond question is that Obamacare has effected a revolutionary improvement by its own standards. The triumphs of Obamacare were designing a plan that could acceptably compensate the losers and generating the resources to cover the uninsured without alienating those with insurance. Designing and passing Obamacare was a project requiring real policy and political genius. Implementing it was easy. 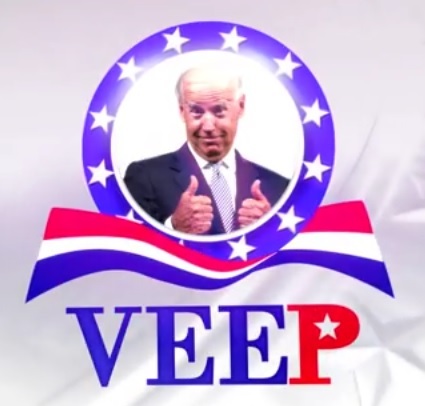 Former VEEP Joe Biden is expected to announce his candidacy for the 2020 presidential election with a video shot in his hometown of Scranton, followed by a rally in either Pittsburgh, Philadelphia, or Charlottesville, Virginia... soon.